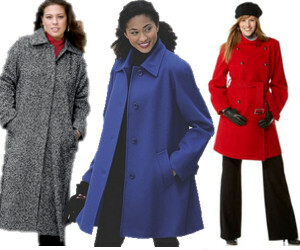 Heavy Plus Size Winter Coats are a must if you live in a cooler climate. There is a good selection available in different fabrics, colors and styles. When we are shopping for a winter coat we want one that doesn’t only keep us warm, but flatters the body. The key to success isn’t as complicated as you might think. First, though, you need to consider various factors not the least of which is getting the right size. Be sure and check the measurements of any website before selecting a coat. Sizing can vary from manufacturer to manufacturer. Not all plus sizes are made alike, so you could end up with a coat that’s too big or too small. Coats can get expensive. In fact, they represent one of the most expensive wardrobe items of the winter season. You want to get your money’s worth with one that’s going to hold up for a long time. Style also ties to your winter activities. Going skiing is different than heading out to a business conference. If you have a lot of outdoor hobbies at this time of year you may actually want two plus size winter coats – one that’s tailored for a professional look, and the other more playful and relaxed. In either case you want the fabric and cut of the coat to mix well with the rest of your clothing. For the plus size woman its best to avoid coats that look bulky. Warm is one thing, but hulking coats make you appear larger. Sometimes liners contribute to bulkiness but offer the option between lightweight and heavyweight wear. There’s nothing wrong with a hood, however, (possibly removable for greater adaptation), and a water resistant fabric is also a good choice for fall or winter rains and snow. An awareness of your body type is always helpful when shopping for plus size clothing, including a winter coat. For example, if you have a rather square body line, a belted coat makes you look more like an hourglass figure. Single breasted styles decreases attention to your upper body, particularly large bosoms. 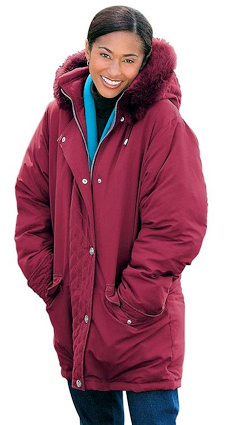 On the other hand, if you have more proverbial “junk in the trunk” – reach for an A line winter coat. 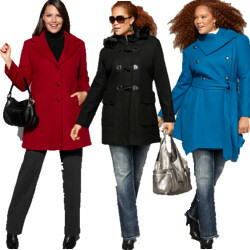 Macy's has a nice selection of designer and name brand heavy winter coats in plus sizes. Old Navy has a nice selection of basic winter coats and jackets in plus sizes. QVC has a very good selection of heavy warm winter coats in sizes up to 3X. Shop at QVC.com for the latest fashion trends in apparel, accessories, footwear & more. 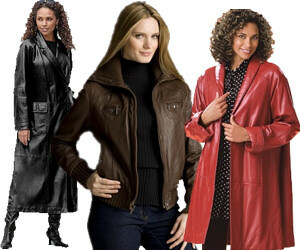 Roaman's has a fabulous selection of trendy plus size coats in plus sizes. 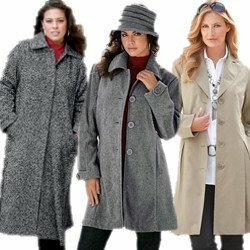 Amazon has a huge selection of Winter Coats in plus size at great prices. Many of them are available with free 2 day shipping if you have a prome account. eBay is a great place to look - you can find many coats with tags that were last year's overstocks. If you are looking for a classic style at a great price, definitely start here.